Congress has a long history of helping American manufacturers in their struggle against cheap foreign imports. A whistleblower with inside information about one company’s attempts to import cheap Chinese made goods and avoid customs duties stopped that scheme in its tracks. For its efforts, the whistleblower also earned a $480,000 award. American made preference laws take two main forms. The first are “Buy American” laws that say recipients of government funds must purchase American made goods whenever possible. Those efforts are generally limited to government purchasing, however. A second set of laws take the form of tariffs and customs duties. When a business purchases certain foreign made goods, it must pay a tariff to import those goods into the United States. One such tariff involves products made with graphite. Since 2008, the United States has accused China of “dumping” cheap, synthetic made graphite products in the United States. Some countries will sell products below cost simply to drive their competitors out of business. Once there are no competitors, the state sponsored enterprise will raise rates. Since it then faces no competition, both American businesses and consumers lose. A leading seller of graphite electrodes is a company called Ameri-Source. Despite its name, prosecutors claim the source of Ameri-Sources graphite was China. That is okay as long as Ameri-Source declares the country of origin and pays import duties. It didn’t. Instead, the government says that Ameri-Source lied about the country of origin and the products being imported. In essence, it smuggled graphite electrodes into the country and failed to pay customs duties. The case against Ameri-Source was originally filed by a competitor in 2013. The government later intervened and took over the prosecution. An 1863 law allows an insider (whistleblower) with information about fraud to file a lawsuit against the wrongdoer. The lawsuit is filed in the name of the United States. If the government ultimately recovers any money, the whistleblower is entitled to a reward of up to 30% of the recovery. This case is called a “reverse” False Claim because the wrongdoer is committing fraud to avoid paying money to the government. Here Ameri-Source lied and forged false transportation documents to avoid paying customs duties. A typical False Claims Act case involves wrongfully taking money from the government. The whistleblower in this case was a competitor of Ameri-Source. Graphite Electrode Sales (“GES”) brought the suit because it faced unfair competition. By illegally importing cheap Chinese goods and avoiding customs duties, Ameri-Source was able to undercut its competitors. GES claimed that Ameri-Source created a phony shell company in India. The electrodes were then shipped from China to India and then to the United States. Shopping manifests failed to show China as the country of origin. The company was ordered to pay a criminal fine of $250,000 and a penalty under the False Claims Act of $3 million. Two Ameri-Source affiliates, an importer and the companies owners were also named. The whistleblower award is based solely on the civil recovery and not on the criminal fines. Here the award represents 16% of the government’s civil recovery. In 2014, the Justice Department handed out $435 million in whistleblower awards. Our clients have received over $100 million in award monies in recent years including a $400,000 award in a Buy America case involving mislabeled Chinese steel. Whistleblowers help taxpayers and level the playing field for honest businesses. 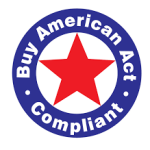 In Buy American and anti dumping violations, they also protect American workers. Have knowledge of illegal dumping or mislabeled imports? Call us. All inquiries are protected by the attorney – client privilege and kept confidential. 2018 The Year of the Anti Dumping Whistleblower? This week President Trump signed an executive order imposing a 25% across the border tariff on steel imports and a 15% on aluminum. Many see these tariffs as a direct response to anti dumping violations by China. Even with overseas transportation costs, Chinese steel is still much less expensive than that produced in the United States. Unless China cuts a seal with the Commerce Department, Chinese steel will be much more expensive. Of course, greedy corporate crooks will find a way to transship their foreign steel through Canada or Mexico or mislabel the country of origin. Never has the time been better for whistleblowers with inside information about anti dumping violations, customs fraud or Buy American violations. The Trump administration is a strong supporter of American manufacturing. Even if your information predates Trump’s election, the Justice Department can still pursue anti dumping violations for up to six years. or by phone at 202-800-9791. All inquiries are kept fully confidential and there are no fees unless we recover an award for you.